Seem to be interesting, so sharing with you! “While attitudes toward interethnic friendship can give an idea of how people feel about others in their personal lives, the Caucasus Barometer survey probes further into core beliefs by asking about attitudes toward interethnic marriage” Caucasus Research Resource Center‘s blog states. Click here for getting information about Georgian and Azerbaijani attitude toward same issue. Georgian activists are urging parliament to change a controversial law under which four photographers were convicted of spying for Russia last month. The photographers’ lawyers say Article 314 of the legal code is drawn up to allow security services to hide details of cases, and to use secrecy to fabricate convictions. 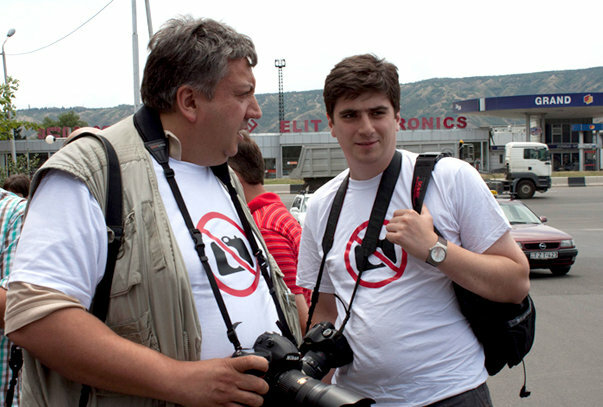 The four photographers brought the number of Georgians convicted of espionage to almost 50 in the last three years. In almost all cases, the prosecution’s main evidence has been a confession from the defendant, who often agreed to confess to lessen his sentence.